Welcome to our press corner! Below you can find a selection of our latest press releases. For a selection of our latest publications, please refer to the ‘Publications‘ section at this website, or have a look in our ‘Inspiration Corner’ to see our latest ‘User Cases‘. 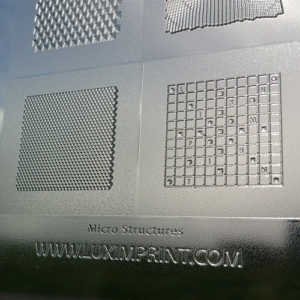 Images of Luximprint solutions can be found in our ‘Image Gallery‘. Please note that the images as displayed are is just a glance of our work. Most of our projects remain ‘company confidential’ due to the sensitive use and application by our global customers. Additional footage, including high-resolution pictures and logos, can be obtained via our contact form, we’d be delighted to work out your custom solution for online or print publication.